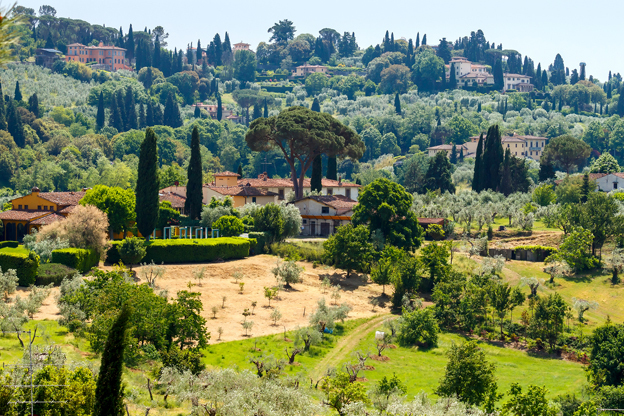 The landscapes and people of Tuscany have been an inspiration for writers for centuries – perhaps it’s no coincidence that three of Italy’s greatest writers – Dante, Petrarca, Boccaccio – were all Tuscan. Besides home-grown writers, Tuscany has provided an inexhaustible source of writing material for foreign writers as well, with the British driving the ranks. The first English poet to visit Tuscany was Geoffrey Chaucer in 1373; the man who is considered England’s greatest poet of the Middle Ages and the father of English literature came on a trade mission, but later extended his trip hoping to meet the Florentine poets he admired so much. In fact, Chaucer had adopted the rhymes and meter patterns of Dante, Petrarch and Boccaccio, who, on their part, had been inspired by Tuscany long before Chaucer did. Let’s take Florentine-born Dante and his masterpiece, The Divine Comedy: many are the references to his contemporary world and characters in his allegorical journey through Hell, Purgatory and Paradise. It is said that Dante was inspired for his description of Hell by the Orrido di Botri, a spectacular limestone gorge near Lucca which he saw when staying in nearby Montefegatesi after his exile from Florence. 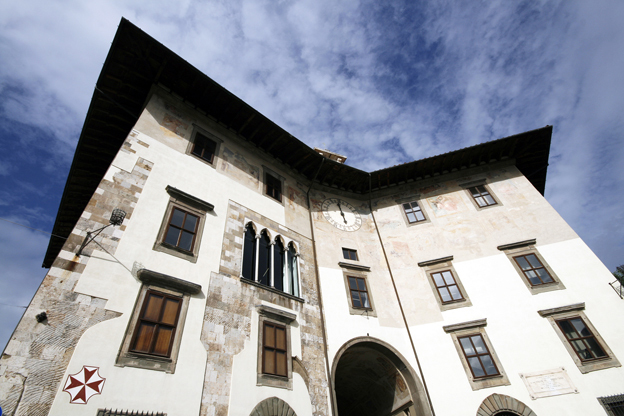 A legendary real-life character that featured prominently in the Divine Comedy is the count Ugolino della Gherardesca, imprisoned with his sons in a tower, which is the Muda Tower, or Torre dei Gualandi in Pisa, now part of the Palazzo dell’Orologio. Dante’s decision to write in the Italian vernacular rather than in Latin would influence the course of literary development, and the Tuscan dialect he primarily used would become standard literary Italian (Chaucer and Boccaccio were also among the first to write in the vernacular language instead of Latin). Giovanni Boccaccio, born in Certaldo, set his 14th century masterpiece, The Decameron, in a secluded villa just outside Florence, where seven young women and three young men took shelter to escape the plague that was afflicting the city. Besides its literary influence (Chaucer modeled his The Canterbury Tales on it), The Decameron provides a document of Tuscan life at the time. 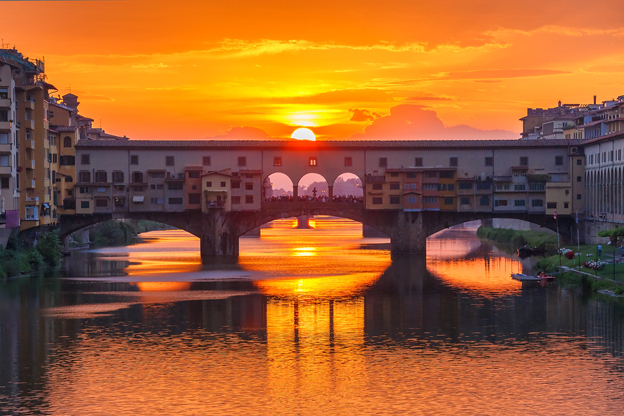 To relive those atmospheres, walk part or the entirety of the 170-km Anello del Rinascimento trail, which passes through the hills of Florence, punctuated by small parish churches, castles, ancient monasteries and villages. Foreign writers, and especially Anglo-Saxon ones, started to arrive in large numbers with the emergence of the so-called Grand Tour of the 18th and 19th centuries, when male heirs of noble British families were sent to continental Europe to ‘complete’ their classical studies by seeing first-hand artistic and cultural treasures. From the 19th century on, writers from Britain and the U.S. were the most numerous. Many found that Italy meant more freedom from the constraints of society, more relaxation from the pressures of life in northern and more industrialized cities, and even better health due to a milder, pleasant climate, and even, in the case of Tuscany, simply, the pristine beauty of the landscape. 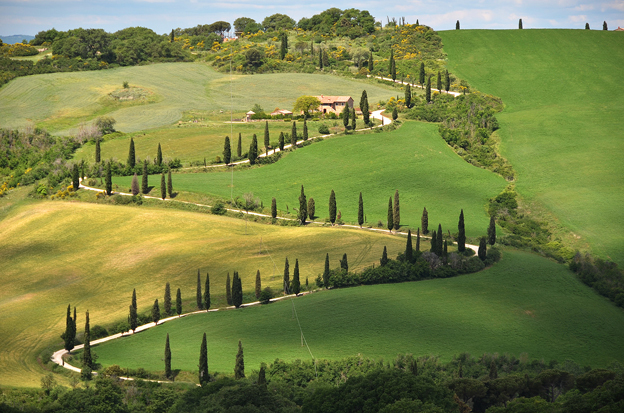 “Tuscany is especially flowery, being wetter than Sicily and more homely than the Roman hills. Tuscany manages to remain so remote, and secretly smiling to itself in its many sleeves. There are so many hills popping up, and they take no notice of one another. There are so many little deep valleys with streams that seem to go their own little way entirely, regardless of river or sea. There are thousands, millions of utterly secluded little nooks, though the land has been under cultivation these thousands of years. But the intensive culture of vine and olive and wheat, by the ceaseless industry of naked human hands and winter-shod feet, and slow-stepping, soft-eyed oxen does not devastate a country, does not denude it, does not lay it bare, does not uncover its nakedness, does not drive away either Pan or his children. The streams run and rattle over wild rocks of secret places, and murmur through blackthorn thickets where the nightingales sing all together, unruffled and undaunted.” Thus English novelist D.H. Lawrence wrote in his Sketches of Etruscan Places and Other Italian Essays (1927). Lawrence lived in the Gulf of La Spezia and Florence for a number of years and it was in Florence that he first published, printed privately, Lady Chatterley’s Lover. To conclude with an American writer, Henry James was particularly fond of Italy, where he traveled extensively; he published Italian Hours, a book of travel writing essays he had written over forty years, published in 1909. There are several chapters in the book dedicated to Tuscany, such as Siena Early and Late, The Autumn in Florence, Florentine Notes, Tuscan Cities. 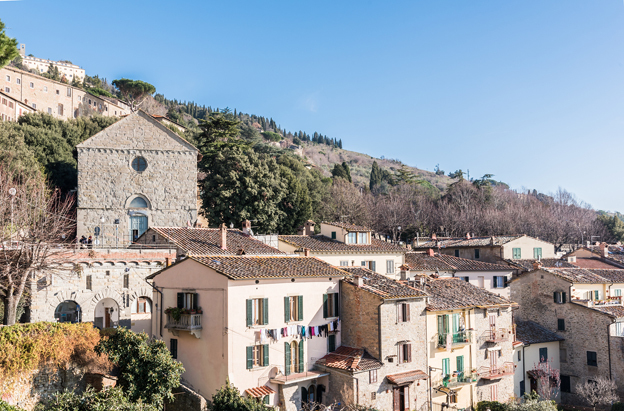 In 1874, still in the first years of his Italian travels, James wrote a travel essay for The Atlantic Monthly, “A Chain of Cities,” about his springtime wanderings in Assisi, Perugia, Cortona, which he described as “the most sturdily ancient of Italian towns,” and Arezzo. Italian Hours ends with the phrase, “the luxury of loving Italy” – while James loved the country, he was not oblivious to the country’s shortcomings; in writing about Venice, he described the conditions of life for Venetians this way: “Their habitations are decayed; their taxes heavy; their pockets light; their opportunities few.” In this way of seeing and writing about the country, he was very contemporary.